Should You Get a Dog If You Work All Day? 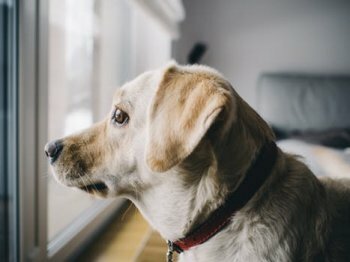 Home > Finding a Good Dog > Should You Get a Dog If You Work All Day? Dogs are social animals – not solitary animals. They thrive in homes where someone is home most of the day. In my opinion, no. If you work all day, I do not recommend a dog. Dogs are sociable animals who regard their human family as their cherished "group" or "pack." When the rest of the pack works or goes off to school most of the day, no dog is happy being left behind. Dogs left alone for hours become lonely, bored, and anxious – which they often vent by barking and chewing destructively. And how is the dog to relieve himself? Yes, some adult dogs can go 8 hours during the day without peeing. But be honest: how long are YOU comfortable "holding it"? Don't you take at least one, if not multiple "potty breaks" during the day? Your dog should be granted the same courtesy. Even more seriously, when dogs are forced to retain their acidic urine for hours, they're more prone to developing infections or bladder stones. If you're thinking you can just leave the dog outdoors, or give him a doggy door so he can go in and out at will....oh please don't. He will disturb everyone within earshot with his bored barking. Then the police or Animal Control will post complaint notices on your door, or one day you'll come home to find your dog poisoned or let out of his enclosure by an irate neighbor. There is nothing more inconsiderate than romping merrily off to work, where you don't have to listen to your dog barking non-stop... but everyone else does. Puppies, especially, need someone home all day. Otherwise you'd have to cage or pen them for their own safety and the safety of your home – and caging or penning all day is cruel. Puppies are loaded with energy and eager to explore and learn, all through the day. Puppy training moments occur on the fly, and someone needs to be there to take advantage of those quick (often 1- or 2-minute) opportunities. Puppies require too much ongoing attention, socialization, playtime, and training – sprinkled all through the day – to be stuck in a home where everyone works or goes to school. Finally, puppies left alone become stir crazy and get so excited when they finally see someone that they tend to grow into hyperactive adults. And please don't be tempted to get TWO puppies, hoping they'll keep each other company. Puppies require socialization, training, and attention from a human being. Two puppies left alone means that TWO of them are not getting what they need. There's just no getting around the fact that dogs are not solitary creatures. They only thrive when given a great deal of companionship by their human caregivers. "But the kids come home from school at 3 pm!" Kids coming home from school want to snack, watch TV, play on the computer, listen to music, and go out with their friends. Even if they remember to take the dog for a walk, it doesn't begin to make up for all the training and socialization opportunities that were lost during the day. "But my friend works all day and he has a dog!" Oh, there will always be people who work all day and keep a dog. Nevertheless, they're pushing a square peg (a highly social and intelligent animal) into a round hole (a lonely environment with no one home and nothing to do for 8-10 hours during the day and then another 8 hours all night). It's a sterile existence and those dogs are not happy, unless perhaps it's an old dog who sleeps all the time. As a canine behavioral consultant for nearly 40 years now, I receive calls all the time from people who work all day. They're annoyed that their (lonely and bored) dog is venting his frustration by barking or chewing things up. Unfortunately, those "misbehaviors" cannot be solved by training. 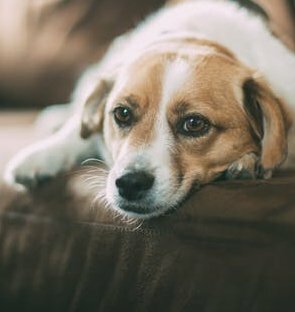 A dog has every right to vent his boredom and frustration when his needs of Companionship and Exercise are not being met. Even dogs who don't get into trouble aren't happy. Some dogs are so good-natured that they don't bark or chew things when they're lonely and bored. Instead, they mope around all day, anxiously listening at the windows and checking the front door. You can see in their faces the hope that someone might come to give them the companionship they crave. When someone finally does come home, the dog is frantic with joy, and the owner feels self-gratified by such an enthusiastic greeting. But he never stops to think about what the dog has experienced all day. I know you believe that you can give your dog lots of time and attention when you finally do come home. But the reality is that you're tired, you need to catch up with the kids and spouse, you need to fix supper, your television shows are on, your emails need answering, household chores need to be attended to, etc. And even if you could discipline yourself to always give the dog lots of attention when you get home, that can't make up for the hours of loneliness. I recommend dogs for households where an adult doesn't work, or works only a few hours a day, or works from their home, or has a job where the dog can come along. Those are the kinds of environments that are tailor-made for social animals like dogs. Do Dogs Need a Fenced Yard? 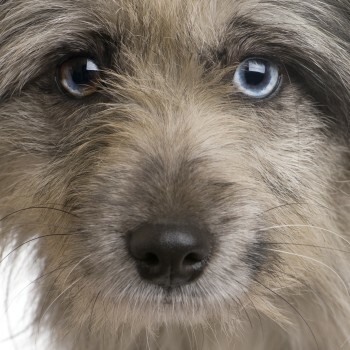 Which Dog Breed Characteristics Are Right For You? Male Dogs vs Female Dogs: Which One Makes a Better Pet? 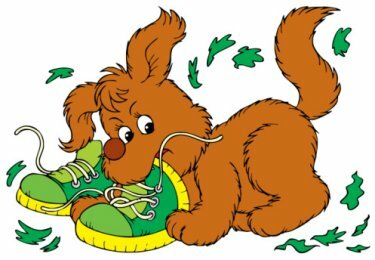 "AKC Registered Puppies" – Are AKC Papers Important?